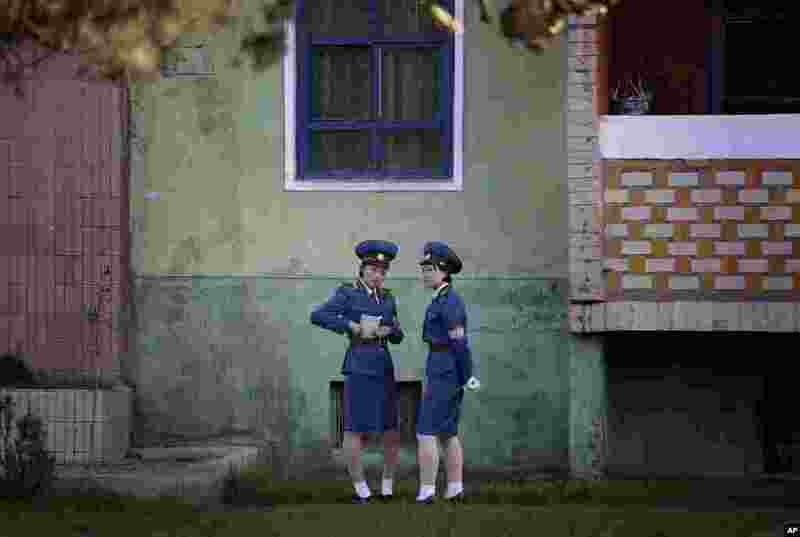 1 North Korean traffic police women chat next to a residential building while off duty in Pyongyang. 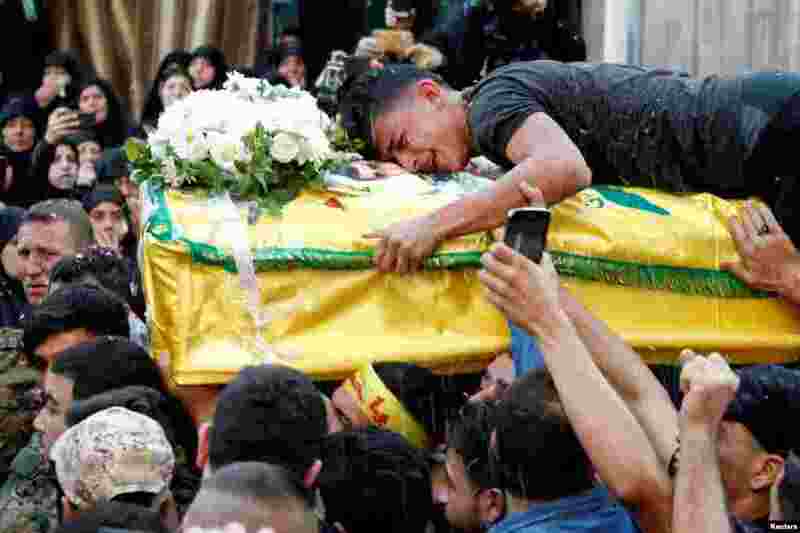 2 A man reacts while clenching onto the coffin of Hezbollah fighter Jalal al-Effie, who was killed during clashes in Syria's Aleppo, during his funeral in Beirut's southern suburbs, Lebanon. 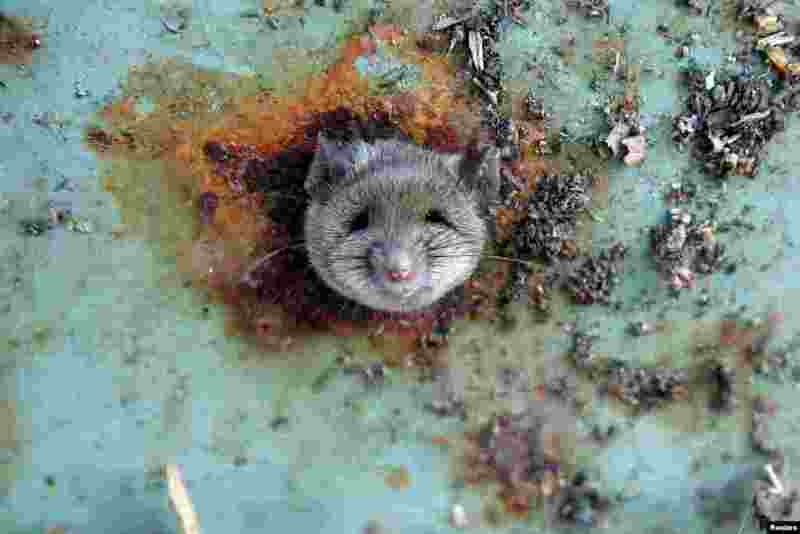 3 A rat's head rests as it is constricted in an opening in the bottom of a garbage can in the Brooklyn borough of New York. 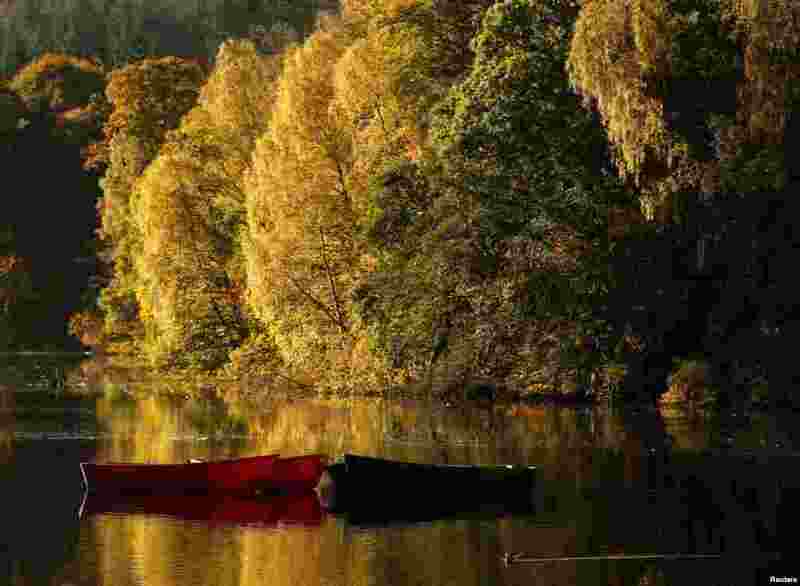 4 Moored boats are seen on Loch Faskally, as autumn leaves are reflected in the water, in Pitlochry, Scotland.